Madhya Pradesh MBA Admissions are open and available now for candidates to get admission for postgraduate course program. Admission in two year course program (MBA) will be announced by Directorate of Technical Education (DTE), Madhya Pradesh. Interested candidates can apply online for the degree course in Master in Business of Administration (MBA). Madhya Pradesh MBA Admission Test 2017 is an admission test for the candidates to take the MBA courses at the various institute of the MP state. For taking the admission into the MBA candidates need to fill the application form of the admission. The admission of the candidates will be selected on the basis of the CMAT exam 2017. Students to get admission should be passed in previous three or four year bachelor degree program with minimum 50% aggregate from well known University/ Institute/ Board. Candidates of reserved category (SC/ ST) should be passed in Bachelor degree program with minimum 45% aggregate from recognized University / Board. These important dates consider admission dates, event dates, exam and other important dates. MP MBA Admission Important Dates can be changed as per Directorate of Technical Education Madhya Pradesh. Firstly students need to visit online and click on the apply online. Fill the all required details without any mistake and go to next process. Upload the new or recent scanned photograph and signature. Pay the application fee by the mode of online (credit/ debit card/ net banking). Read again filled application form if OK then go to final submit. Take a print out for future reference or ahead. The institute provides education in management from many of years and provides two year degree program of Master of Business Administration (MBA). Students need to choose any one course program from various type of MP MBA Offered Courses to get the education. Students can Download MP MBA Admit Card 2017 which is mandatory to bring at attending in entrance exam time. In the admit card mentioned details of student’s like name, roll no, exam date, center and another required details which used to attend or appear in entrance exam. All questions will be objective types or multiple choice. Students need to choose any options for the right answer. Total no. of questions will be 200 of objective type. There will no negative marking in the entrance exam. All questions will be same or equal marks. Students to get admission in MBA will be select as per performance in the entrance exam. 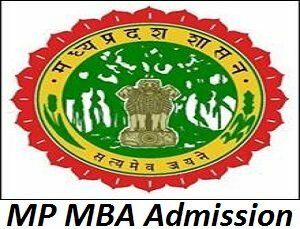 MP MBA Admission Selection Process will be based on performance in Common Management Aptitude Test (CMAT) 2017 and Madhya Pradesh Management Entrance Test (MP MET). Only those candidates will be select for MBA Admission who have a good score card in both of entrance examination. Firstly students need to register to MP MBA Counseling Process for admission in MBA. DTE Madhya Pradesh Counseling announces the merit list of shortlist candidates. DTE MP called to shortlist candidates for their documents verification. If any students do not have legal documents their admission will be canceled. If any students do not attend counseling process their admission will also be canceled. If any students do not get his/ her name in merit list then wait to next merit list. Students to get admission should be passed in Common Management Aptitude Test. Other details like eligible criteria, selection process, exam pattern, syllabus, important dates and complete details related to MP MBA Admission are given above. For more details related to online registration process of MP MBA Admission Test 2017 check the steps given above or you can directly contact to our experts by commenting at the end of the post, we will respond you as soon as possible with the most optimal solutions.